Sheri came to Mount Cross in August 2013 and has been a Lutheran for most of her life. Sheri graduated from California Lutheran University in 1989 with a B.S. in Psychology and a minor in business and then again in 1997 with a M.B.A. in Organizational Behavior. Sheri worked at Deluxe Corporation, a check printing company, for 23 years before coming to Mount Cross. Sheri is married to Mark and has two children, Kori and Luke. 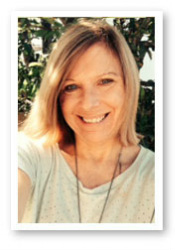 Sheri is a member at Holy Trinity Lutheran Church in Thousand Oaks, CA. Sheri is active in the homeless ministry at her congregation and enjoys helping people.